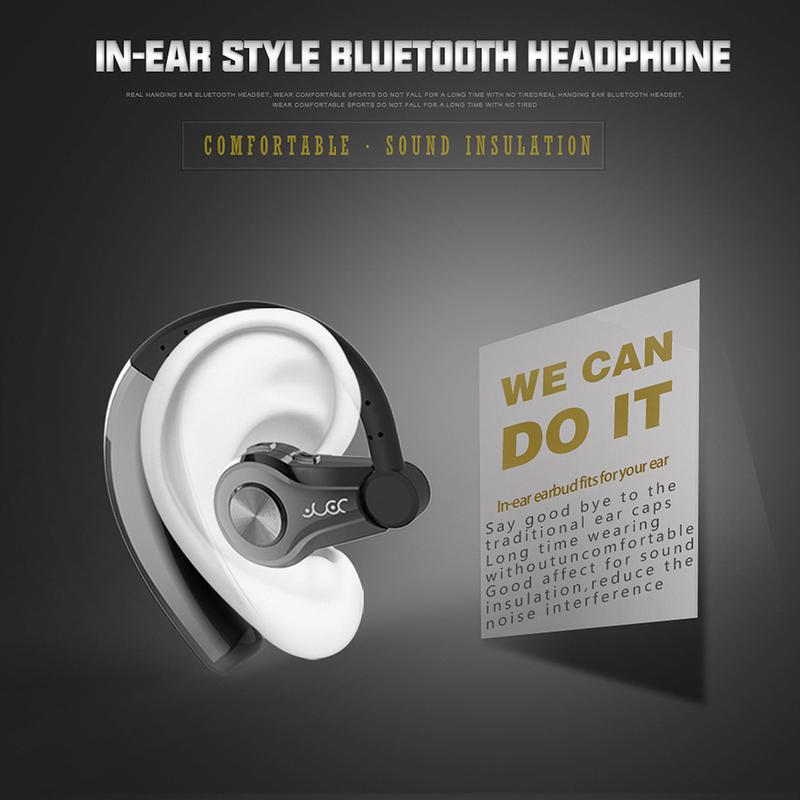 Stylish and Ergonomics Design. 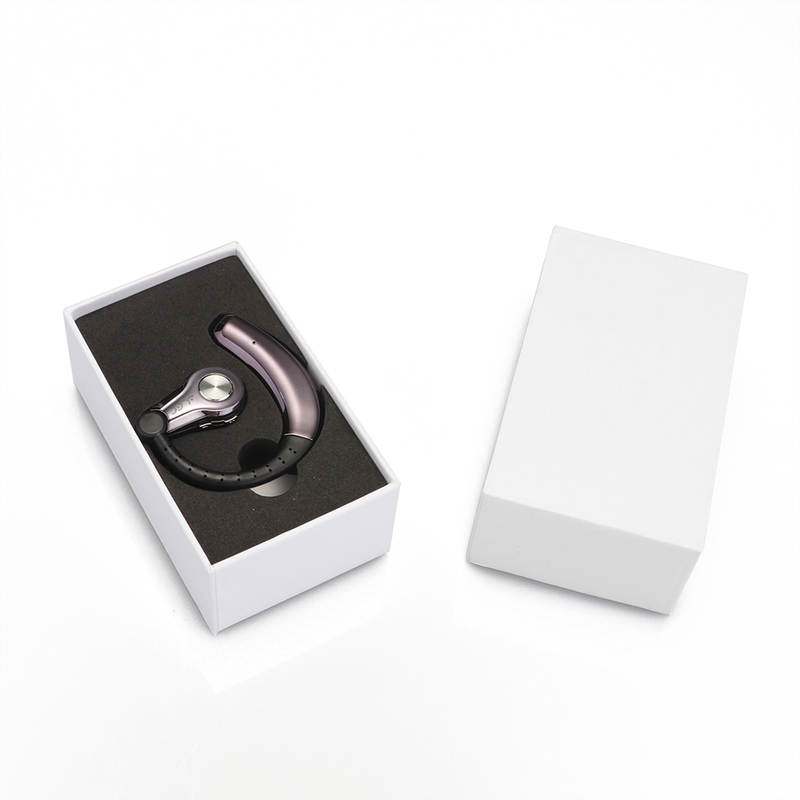 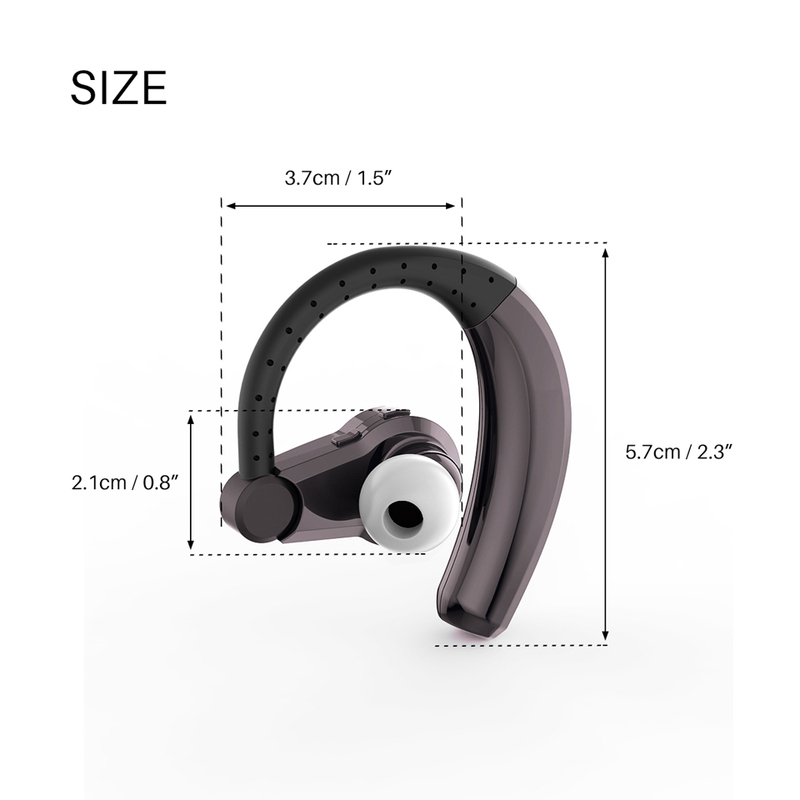 Super Light-Comfortable-Durable stable Only for right ear wear，Ear Ergonomics make this earphone perfect fit your ear structure ,more comfortable and durable stable for long wear；Simple and elegant design make it more light ，without any pressure. 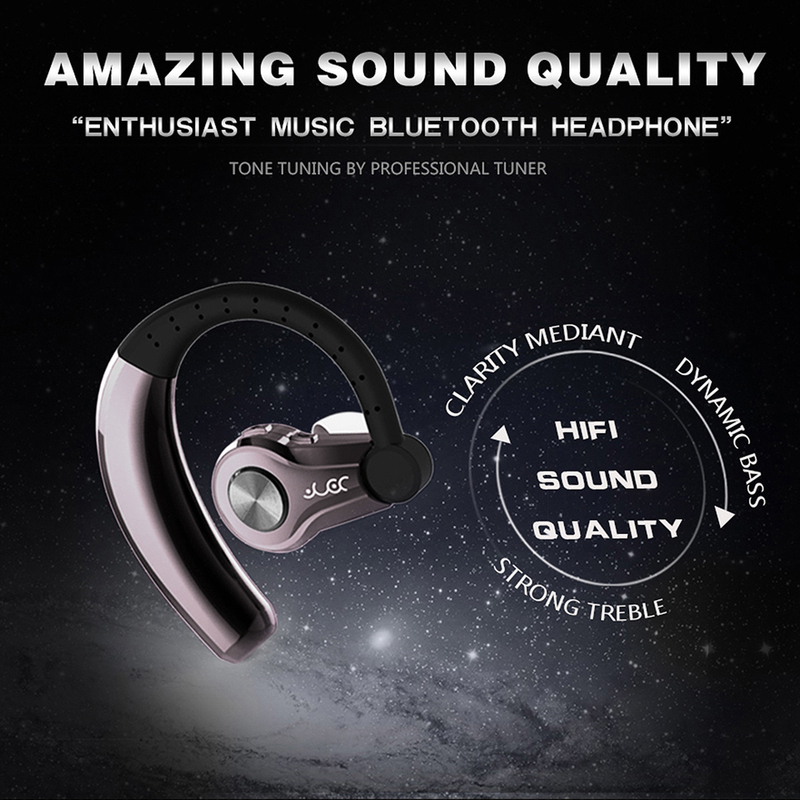 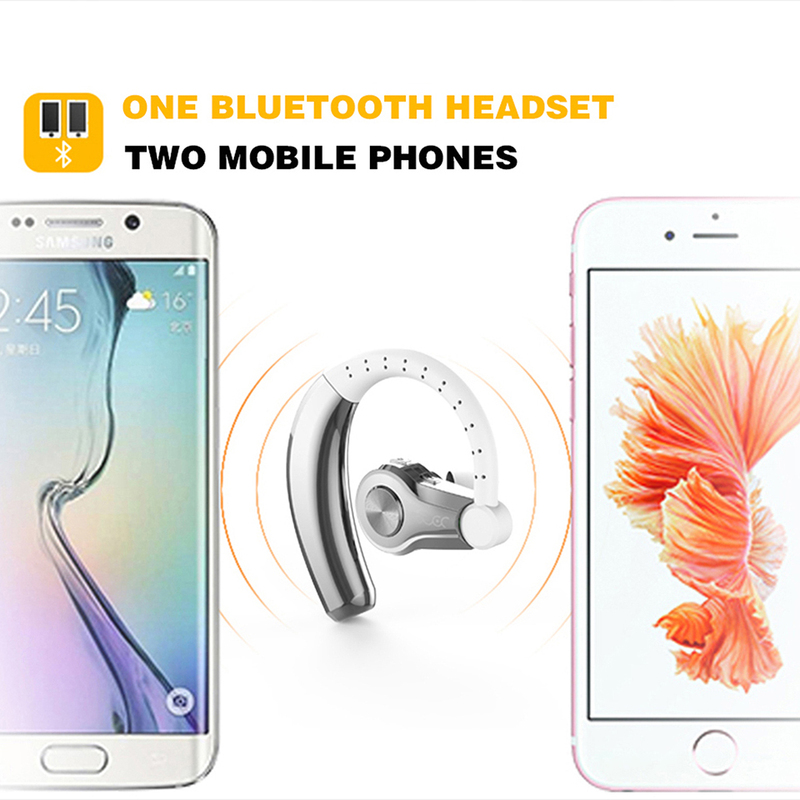 HD Stereo Sound and Bass, support APT-X function, let you feel the truly HiFi music; active noise canceling, feel HD stereo sound; with HD microphone for happy chatting. 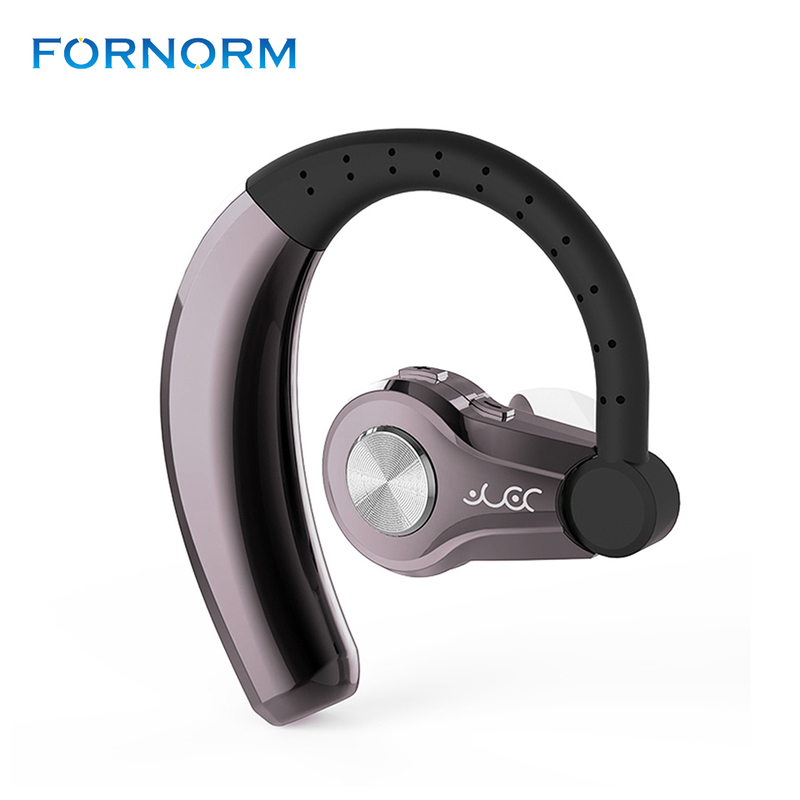 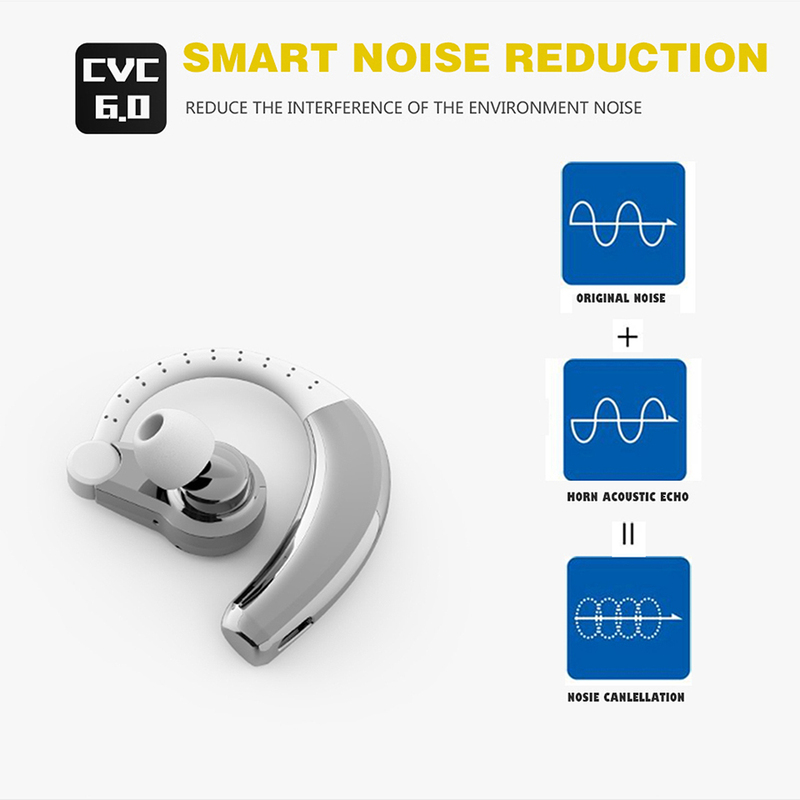 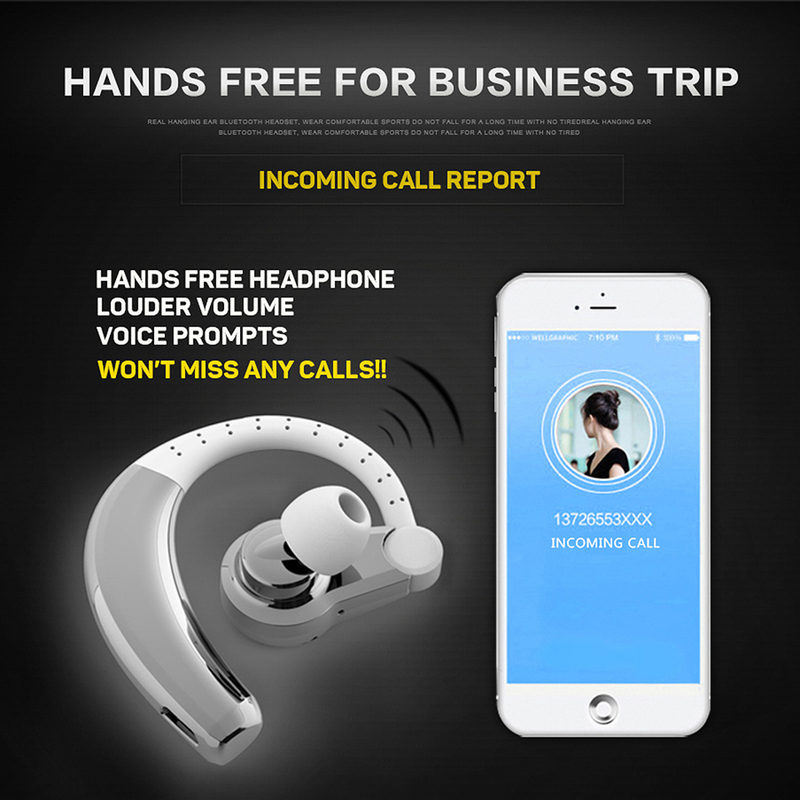 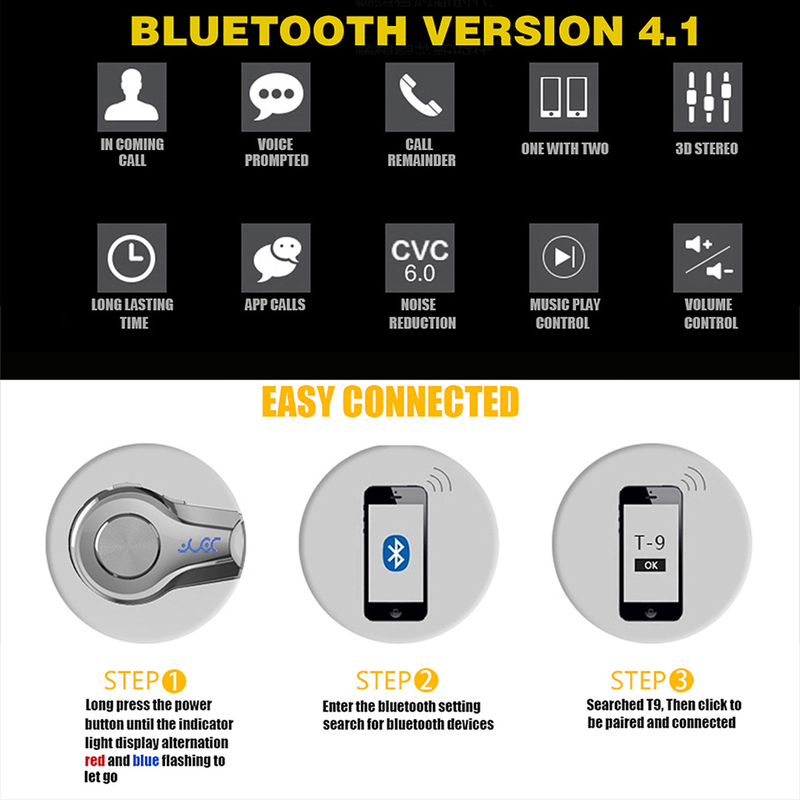 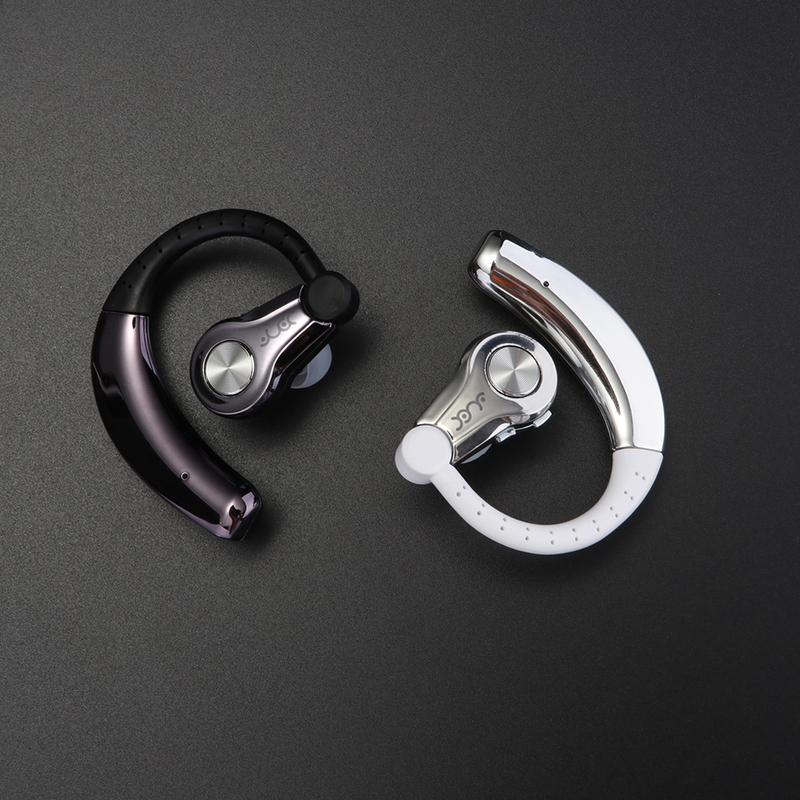 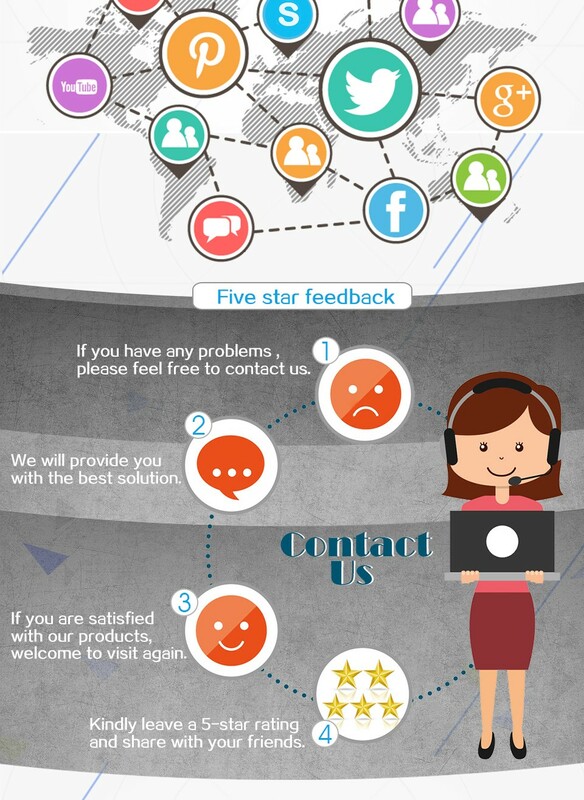 Intelligent Bluetooth V4.1, When you operate the headset ,automatic report headset status；when the call coming, Automatic broadcast the incoming caller ID, Simple to use, Fast pairing, Power saving, Stable signal transmission, compatible with 99.9% Bluetooth devices. 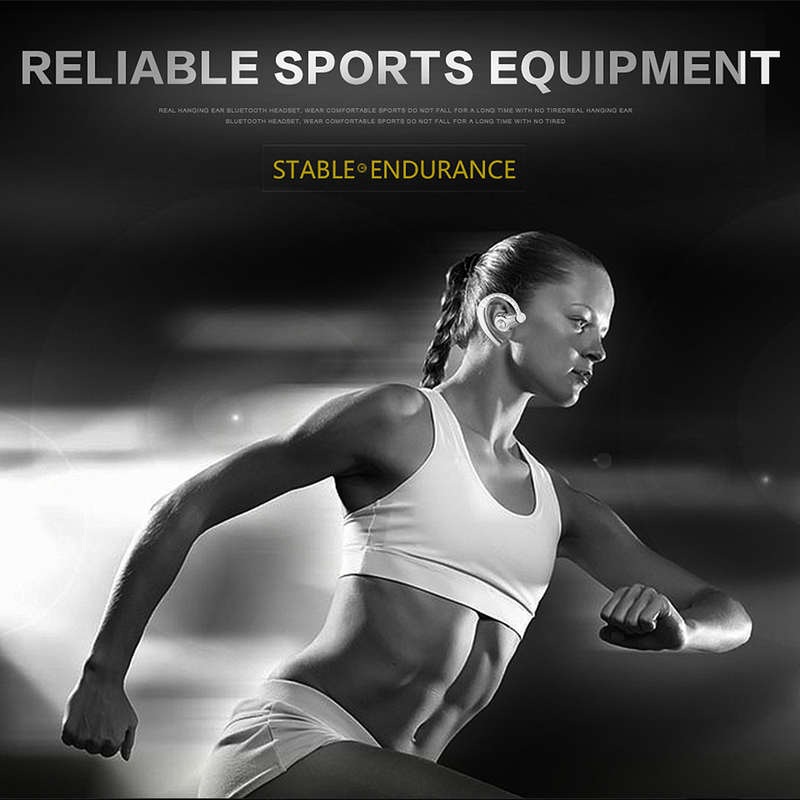 Sweat proof For Sports. 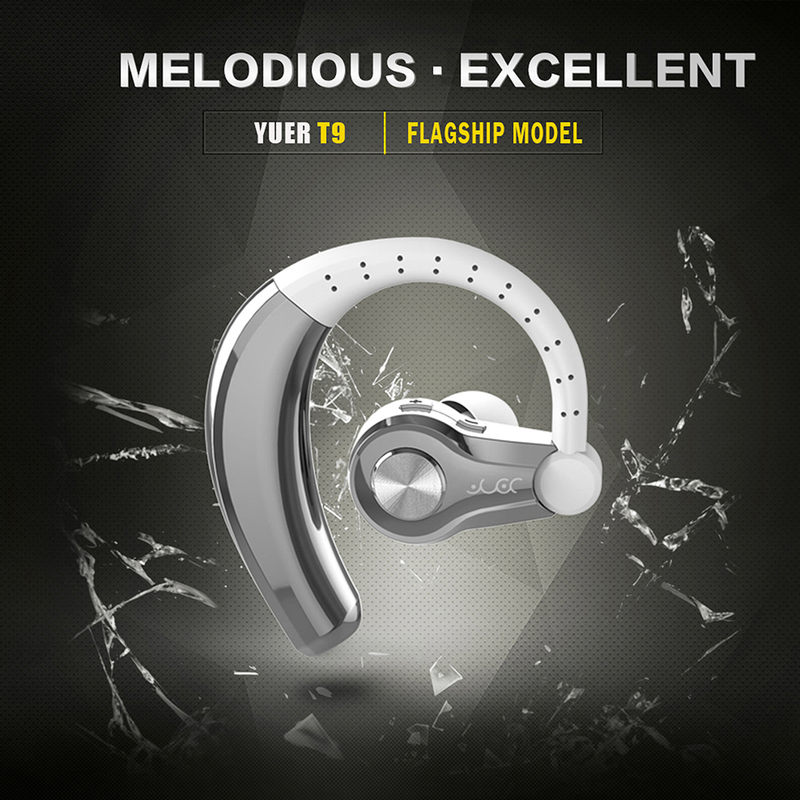 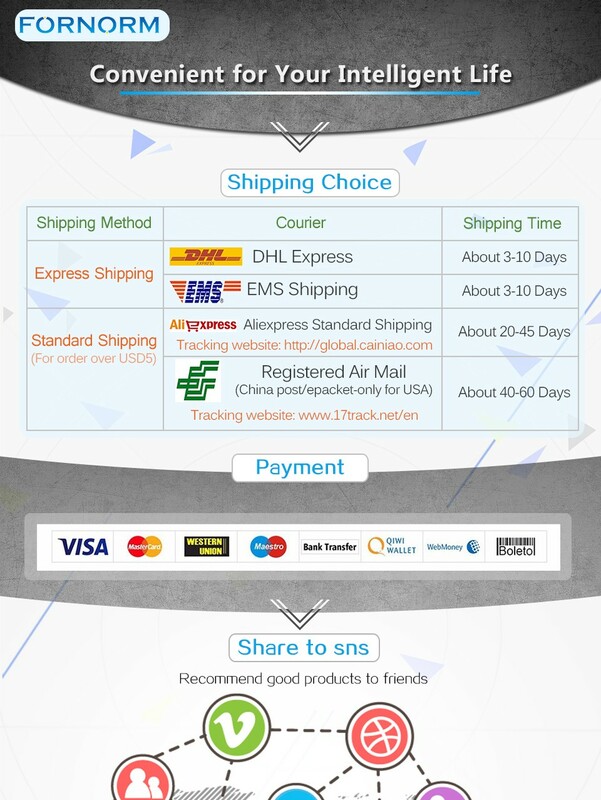 Make it avoid damage from raining and sweat, make you more freedom and enjoy your sports and music life. 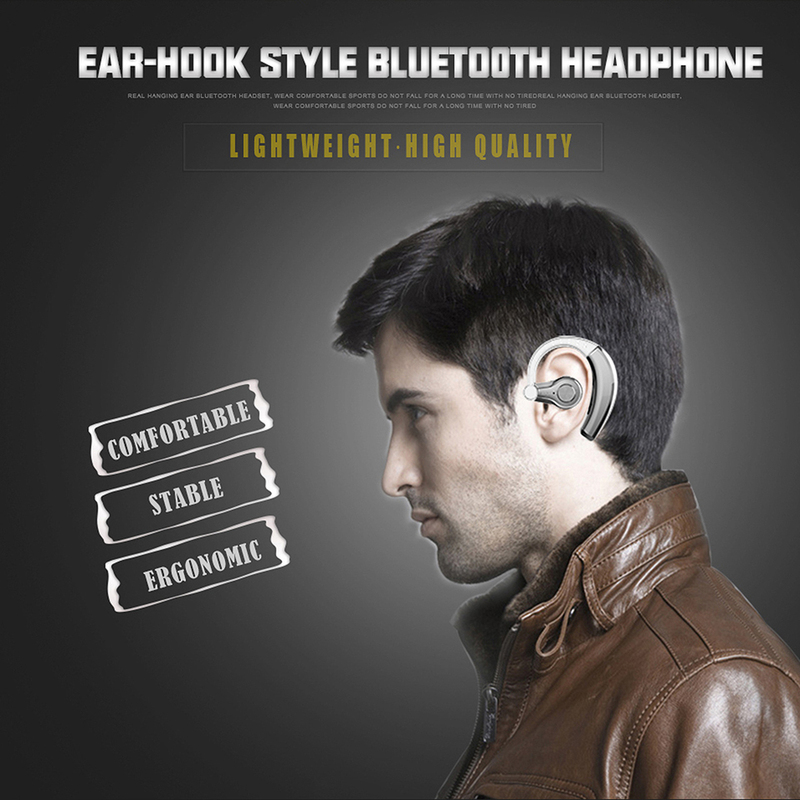 Safety Durable Battery, charging 2 hours, up to 4 Hours Continuous music / talking time and Up to 120hrs Standby Time.